New Miss Ireland Jessica Hayes has revealed that she wasn't confident enough last year to win the title. The 20-year-old brunette beauty was crowned winner in Dublin's Ballsbridge Hotel last night after representing Dublin club Buck Whaley's. She now goes on to represent Ireland at the Miss World Event in London in November. This is not the first time she has taken part in the event. Last year Jessica was Miss Cork but felt she was not fully prepared, confidence wise. "I was last year's Miss Cork representative so I knew more what to expect. I was more prepared and confident this time around." "I didn't expect to win. I couldn't call it. They were such a fantastic group of girls," she told Independent.ie. Talking about the experience, she says a sporting weekend in Westport helped the girls to bond. "It was unbelievable. I've made friends for life in this competition. 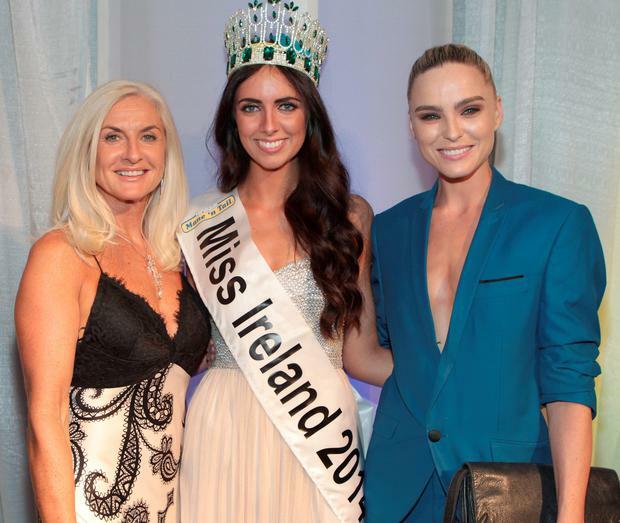 Jessica will now go on to represent Ireland in Miss World in London next November. "It's going to be a busy few months. I'm looking forward to spending three or four weeks in London in November for the Miss World competition." The model shows she has brains as well as beauty, having recently completed a year long business course at Cork College of Commerce. She hopes to complete her degree and further her career as a model.